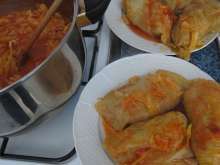 You will certainly love delicious stuffed cabbage leaves (ground doves) and their not easy preparation will be appreciated by all consumers. Serve with fresh bread. 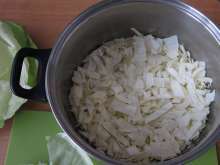 Peel onion, chop it finely and cook in oil. 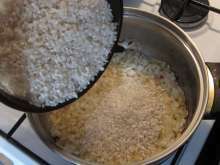 Rinse rice and add it to the onion. Season with salt and cook. 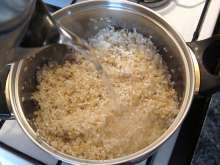 Pour in boiling water about 1,5 cm above the surface of rice. Braise covered. Let it cool. Mix well cool rice with meat, ground black pepper and salt. 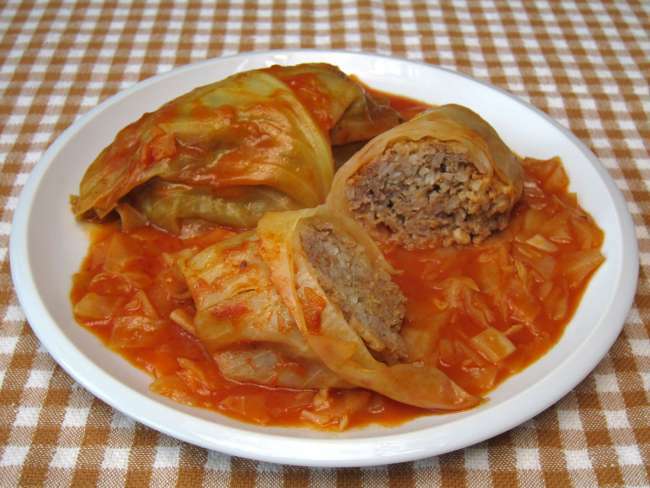 For the stuffed cabbage we need one big head of cabbage. 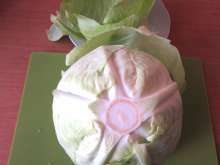 In fact, we will not use the listed amount of cabbage. 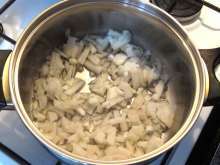 Wash the cabbage, score it around the stump and gradually take away 6 top leaves. 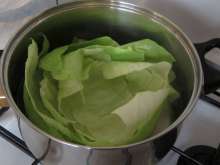 Cook the leaves for 5 minutes in boiling water. 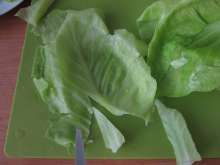 Take the leaves out of water and cut off hard part of each leaf. 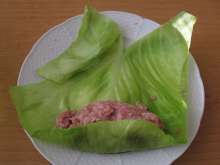 Equally split meat and rice filling and put it in the leaves and roll them. 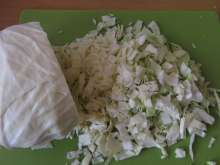 Chop about 1 kg of cabbage in total. 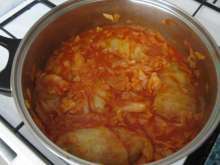 Lay half of the chopped cabbage at the bottom of the pot. 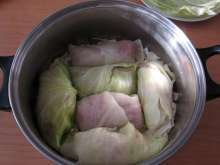 Place rolls on the cabbage. Spread the second half of the chopped cabbage on top. 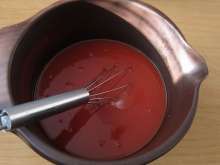 Mix tomato paste with water, sugar, salt and crushed cumin. Pour the brine over the cabbage. Cook slowly and covered for about one hour before it starts to boil. Do not stir. Take the cooked rolls out. 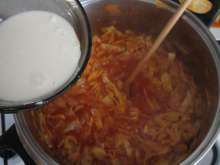 Thicken the cabbage with flour mixed in a little water. 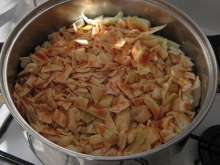 Add vinegar, if necessary even salt, or sugar. Place the rolls back in the pot and they are ready to serve.